With the new 1-cent Measure U taking effect on April 1, Mayor Darrell Steinberg and the City Council are working to ensure effective oversight of these tax dollars. The newly appointed Measure U Community Advisory Committee will hear spending proposals and make recommendations to the City Council, which will make the final decisions on Measure U expenditures. More than 200 people applied to serve on the committee. Mayor Steinberg and the city’s eight Council members each appointed one person; the rest were chosen by the City’s Personnel & Public Employees Committee based on their expertise and experience in topic areas such as business, workforce development, mental health, housing and environmental justice. Elisabeth Pray was nominated by Councilwoman Angelique Ashby to represent District 1. Pray has a Bachelor’s of Business Administration in accounting and has worked in accounting for many years. She is a graduate of the City Management Academy and a member of the North Natomas Community Coalition. She chairs the Heritage Park Owner’s Association Finance Committee. Marj Dickinson was nominated to represent District 2 by Councilmember Allen Warren. Dickinson retired in 2017 after 30 year of working for UC Davis. She was the assistant chancellor for Government and Community Relations and had established effective relationships with leaders on the state, local and federal level. Imani Lucas was chosen by City Councilmember Jeff Harris to represent District 3 on the Measure U committee. Lucas says he wants to play a role in deciding how Measure U funds are spent in his South Natomas neighborhood. He leads the “Safe Neighborhoods” division of the Health Education Council, a non-profit that promotes health and well-being, focusing on under-served neighborhoods. His extensive experience working in youth violence prevention programs includes serving on the Sacramento Gang Prevention and Intervention Task Force (renamed the Office of Violence Prevention). Dana Kivel was nominated by Councilmember Steve Hansen to represent District 4. She has worked for more than 20 years in higher education and helped thousands of young people across the country complete their education. She is the Director of the Community Engagement Center at Sacramento State University, and seeks to connect its 30,000 students and 2,000 staff members with opportunities to work with the city. Kivel served on the Oak Park Redevelopment Advisory Committee and helped oversee the distribution of $10 million in redevelopment funds in Oak Park. Flojaune Cofer was nominated by Councilmember Jay Schenirer to represent District 5 on the committee. Cofer works as the Senior Director of Policy for Public Health Advocates, and is responsible for promoting state and local policies addressing chronic disease and trauma. She also serves on the Active Transportation Commission and the Mayors’ Commission on Climate Change. Working with a Sacramento group of activists known as The Table, Cofer helped craft the idea for the Measure U Community Advisory Committee. Gina Lujan was tapped by Councilmember Eric Guerra to represent District 6. She is the founding Chief Executive Officer of Hacker lab and Code for Hood, and has worked as an innovation consultant. She sits on the board of the Sacramento Metro Chamber. Since 2012, Hacker Lab has taught about 8,000 students a year and provided maker spaces, co-working spaces and incubation for start-up businesses. Kimberly Williams was recommended for appointment by District 7 Councilmember Rick Jennings. 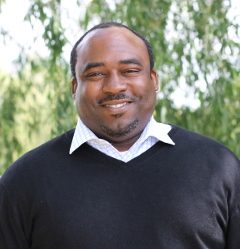 Williams is an incubator lead for the Black Child Legacy Campaign and is also the Hub Director for the Building Healthy Community Initiative, which was formed to increase health disparities in some of Sacramento’s most vulnerable neighborhoods. She has worked in the youth development field more more than 20 years and managed multiple programs and initiatives with the goal of improving youth outcomes. She previously served as president and chief executive officer of Boys & Girls Clubs of Greater Sacramento. She wants to make sure Measure U funds are invested to create positive change in the city’s disadvantaged communities. Stevante Clark was nominated in District 8 by Councilmember Larry Carr. Clark is the older brother of Stephon Clark, an unarmed man who was fatally shot in his grandparents’ backyard by Sacramento Police officers who mistook his cell phone for a gun. He participated in Measure U forum events and held his own forum. Jessie Ryan, president of the Sacramento City Unified School Board, was chosen by Mayor Darrell Steinberg to serve on the Measure U Community Advisory Committee. Jessie Ryan was chosen by Mayor Darrell Steinberg to serve on the committee from the city at large. Ryan serves as president of the Sacramento City School District Board of Education. Jessie has worked for more than 10 years at the Campaign for College Opportunity, which works to increase college access and success for young people across the state. She lives in Oak Park with her husband and two children. Amanda Blackwood was selected by the PP&E Committee as the representative of a taxpayer organization. 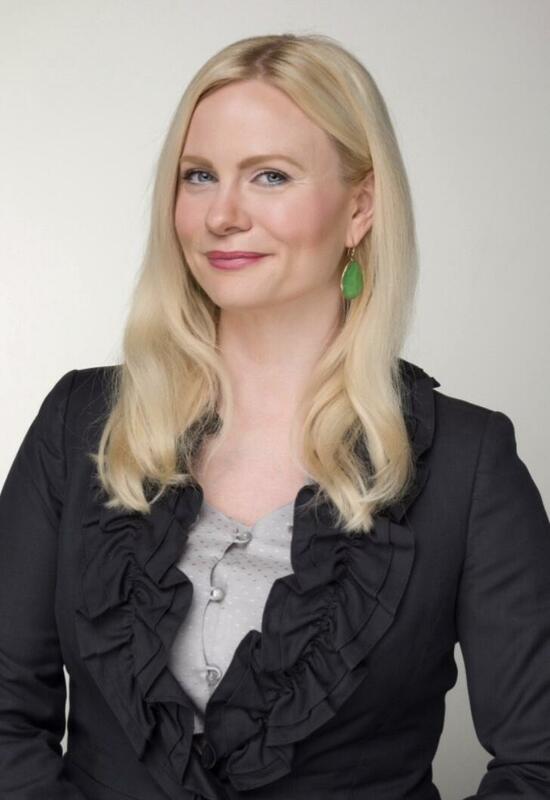 She is the first woman to serve full-time as the CEO of the Sacramento Metro Chamber. The nonprofit chamber has about 1,400 members. An additional 600 young professionals participate in its Metro EDGE program. Cathy Creswell was chosen based on her housing expertise. Cresswell is a board member of Mutual Housing California and a member of the Sacramento Housing and Redevelopment Commission who served as deputy director and acting director of the state Department of Housing and Community Development. Alice Perez was appointed based on her economic development experience. Perez is the former President and CEO of the California Hispanic Chambers of Commerce. As manager of customer strategy at the Sacramento Municipal Utility District, Perez managed the financial performance of a $168-million annual operating budget. As a vice president at US Bank, she guided the institution on how to serve multi-cultural markets. Perez has been active in a wide variety of civic initiatives and causes. Debra Oto-Kent was selected for her mental health and community trauma expertise. She is the founder and CEO of the Health Education Council, which has served Sacramento’s diverse communities for 30 years. She is the Principal Investigator of an initiative funded by the Robert Wood Johnson Foundation entitled Collective Healing: A Public Health Approach to addressing the Spectrum of Trauma through Resilience-Informed Research and Action. Oto-Kent created a partnership with the Mexican Consulate in Sacramento to bring new culturally-tailored mental health, financial coaching and other prevention services to Spanish-speaking residents. Dean Murakami was appointed because of his professional experience with youth-focused adult education. Murakami, a professor of psychology in the Los Rios Community College District, also serves as vice president of the Sacramento Central Labor Council. which represents more than 90 unions in the Sacramento region, including the Firefighters Union Local 522. With his wife, Murakami also co-owns Ambrosia Cafe & Catering, a landmark downtown business.